Great for teachers or nurses, these lanyards are both fun and useful. 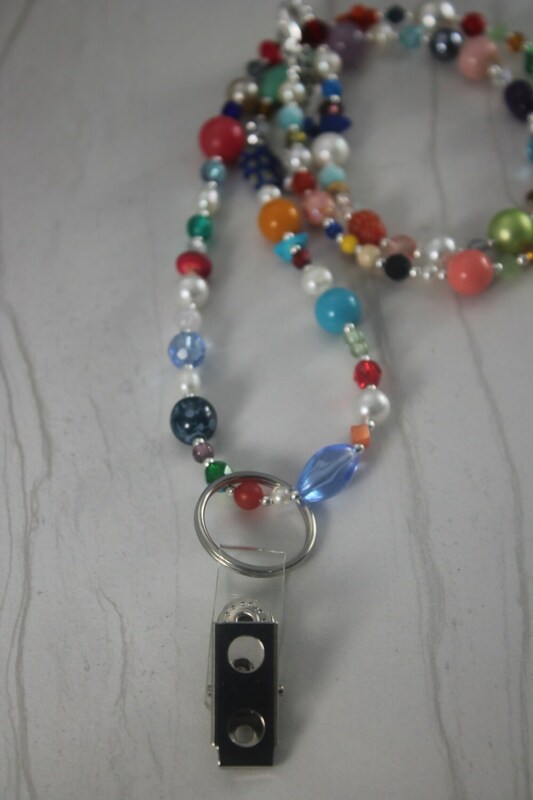 This lanyard is 30 inches long with a 2" extender and made with vintage beads. No two are alike! Ring for badge can be removed and can be worn as a long necklace. You can also double it and wear as a short necklace. My 11 year old Grandson Loved this when I gave it to him!!! ahe is a big Royals Fan. Your Customer & Shipping Service was Excellent. I enjoyed doing business with you.